Armstrong doesn’t offer the widest range of models in the industry, but that actually is viewed as a plus by many consumers. For some, having too many choices gets confusing. Armstrong takes a good/better/best approach with one 18 SEER and one 16 SEER model in the “best” category. Stephanie in Tucson, AZ sent her Armstrong Model 418LE 18 SEER central air conditioner price to share with other readers. Here’s what she had to say. “Last August our central air conditioner gave up. It was about 15 years old, though the furnace is only 10. Rather than replace the entire system we opted just to replace the central air conditioner since we frankly don’t run the furnace very much here at all. We considered going with an heat pump and air handler, but if this housing market ever turns around, we’ll likely sell this place and build something we really like. So, we decided to go with the simplest fix and just do the a/c. I had 3 different contractors out to look it over and 1 of them was a real pain, sorry to say. I don’ know if it’s because I’m a woman (or blonde!) but he seemed to think I could be sold anything. He was pushing a complete system and told me there wasn’t any single unit compatible with my current gas furnace, etc. I told him I’d get back to him. The other 2 treated me with much more respect and made good recommendations and gave me several options for central air conditioner prices. One of them did strongly encourage an entire new system saying I’d maximize my efficiency, but right now that’s just not in the budget. So the unit we ended up selecting due to price and the professionalism of the salesman was the Armstrong Model 418LE. I also checked out the contractor on Angie’s List and there were 4 excellent reviews and none others. Here is what we paid for a 4 ton unit and installation: Armstrong Model 418LE central air conditioner, $1,649 Installation: $1,700; Total: $3,349. Up to 18 Seasonal Energy Efficiency Rating. Eligible for the federal tax credit when paired with an eligible system. 2-stage scroll compressor runs on low the majority of the time; runs on high in very hot weather or when you call for a boost in cooling. Balanced cooling and better humidity control is also a result of 2-stage cooling. Insulation blanket and fan wing style both reduce noise. R-410A refrigerant is environmentally responsible. Heavy-gauge steel cabinet is sturdy and protects components. Powder-coated cabinet for durability and appearance. 10-year limited warranty on the compressor and all functional part. Maximize your Savings with Professional Installation Thanks for the letter Stephanie, and sorry to hear one contractor attempted to take you for a ride. That’s just one reason it is always a good idea to get several estimates – with 3 a minimum. Plus, by using a qualified contractor to install your HVAC components you’ll have the best chance to get the highest efficiency and greatest durability from your system. 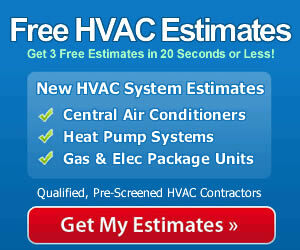 That will maximize your savings over the life of the system in terms of lower energy bills and fewer repair bills. Quality installation truly does pay for itself in the vast majority of instances, so take that into consideration the next time you are comparing HVAC prices and models..